Infamy. Infamy. They've all got it bloody in for me. All except for that rather silly looking chap with the big nose seen in this 45-minute documentary, produced in 2010. Now what was his name? No. It wasn't Barry Manilow, silly. But then again, I'm pretty damn sure it was someone who could take to the stage. In this episode of 'Biography', Bray Poor takes us on a journey through the life and times of the one-time ancient Roman emperor, Julius Caesar. Now thankfully, this grand account is garnished with the usual re-enactments, archaeological exhibits, computer aided imagery, plus one on one pre-recorded interview's with personages that know about Julius' conquests. For example, there are the Historians: Tom Holland, Adrian Goldworthy, and Darius Arya. Plus there are the Professors: Barry Strauss, Maria Wyke, Rit Scott, Richard Beacham, and Giogio Croci. What now follows is a basic breakdown of how this program plays out. What was Rome like before Julius Caesar? It was a tyrannical state ruled by a committee of men whom governed the senate by upholding family values and historical traditions. Oh! And why was that then? Mainly because they believed a single man should never rule their province, or mirror the arduous actions of their last ruling King. Fair enough. So how did Caesar begin to stand out from the crowd? When he won the public's favor by staging gladiatorial matches, using his own money as collateral. Furthermore, because he was such a great orator too, the people also listened to whatever he had to say. Is that why the senate attempted to bar his path by sideling him into becoming a minister for the Temple of Vesta? Yes. That is correct. They thought this lifetime of servitude would hinder Caesar's time in the public spotlight. But they were wrong. Very wrong. How so? Over time he was able to get elected as a governor by allying himself with two men who held court within the secret government. Crassus and Pompey. Hmm. That's nice. So everything worked out alright in the end then? No. Not really. After the sudden death of Crassus, Pompey grew wary of Caesar's conquests over in the province named Gal -- now called France -- and he attempted to have him defrocked as a commander by using legalized means. And did that work? Ha! He had no chance. Using his own bold savvy, Caesar turned Pompey's own conduct against him, and found a way to rise to power, whilst it was Pompey in turn who ended up dead. Wow! What a king amongst men Caesar truly was? No. Caesar was never a king. Despite testing the waters with a mock show of ascension, Brutus and a number of the other Roman's stabbed Caesar to death -- 26 times -- on the eve of a senate meeting. Thankfully, though, one of his ancestors, Octavius, used Caesar's death in a manner in which he never was able to in life. And the rest is now history. 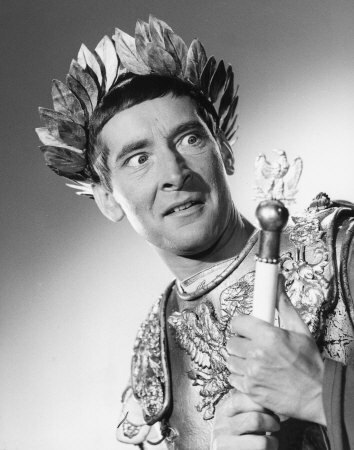 Originally I was going to kick off my review on this 'Biography' channel special, by telling you a silly little anecdote about how I was initially introduced to Caesar, when I first sat down and watched a 'Carry On' movie where Kenneth Williams played the man himself. But on second thoughts -- nah! -- I don't really think this would be a very appropriate way of relaying my findings. I mean, how am I going to do that? Huh? By comparing Julius to Kenneth with some sort of summation relating to them sharing a similar apt attitude towards showmanship? Or what about by declaring how these two showmen knew the principals of an unfair and unjust governmental society, ruled by a privileged and ruling elite? Hmm? Actually, on second thoughts, that doesn't sound too far off the mark. Cause in many ways that is precisely what is at the heart of this documentary. How governmental favor can be persuaded to look at a different path via the showmanship of just one man. Well, let's face it. If Rome was such a great place to live before Caesar came to providence, how come the people of that era wanted to see some change in society and the then ruling body? Furthermore, how can we define Caesar compared to today's modern standards, when every media mogul or politician appears to be following in his very historical footstep? Such as you're MGM's, you're Disney's, you're Warner Brothers, and you're Simon Cowell's too! Granted, I'm not trying to imply that any of these moguls have attempted to kill people to further their own gain. Well, I don't think they have, anyway. Yet the fact remains, one way or another, all it takes is just one man to change the face of society, if he has a plan up his sleeve, and a great way of presenting himself. Just like the following Julius facts! 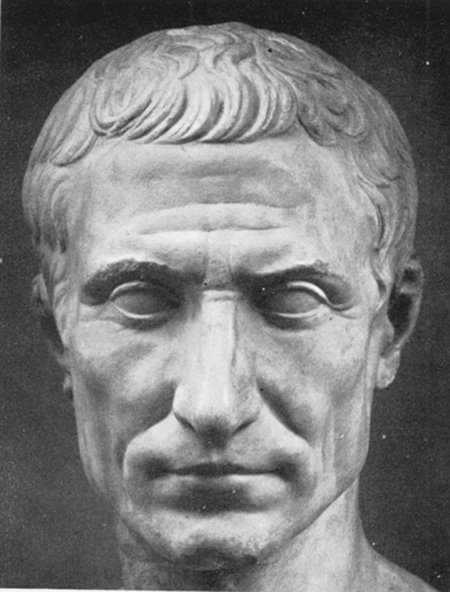 (1) Gaius Julius Caesar was born in the Italian city of Rome, sometime within the month of July, 100 BC. And then, on the 15th of March, 44 BC, he was murdered in a theatre situated in the said-same Italian city. (2) There are three different explanations as to why Julius' ancestors were bestowed with the surname 'Caesar'. The first explanation is because they claimed to be direct descendants of Lulus, son of the legendary Trojan prince, Aeneas, who allegedly was the son of the goddess, Venus. The second explanation is because someone in there line was born by caesarean section -- 'caedere', deriving from the Latin verb meaning 'to cut'. And the third explanation is because the first Caesar either had a 'thick head of hair' [or 'caesaries' in Latin], bright grey eyes [or 'oculis caesiis' in Latin], or that he had killed an elephant whilst hunting ['caesai' in Moorish]. (3) Throughout his 55 years on this planet, Julius managed to bequeath three consorts to keep him company whilst his wife was otherwise predisposed. From 84 BC to 69 BC Cornelia Cinna minor was his suitor. From 68 BC to 63 BC Pompeia was his suitor. And from 59 BC to 44 BC Calpurnia Pisonis was his suitor. (4) Whilst he was studying oratory in Rhodes, a young Julius Caesar made friends with a pack of pirates when they kidnapped him. Don't worry though, once he was eventually freed, Julius arranged to have them executed on the spot. (5) As well as being an all-round strategist and military man, Julius was also a bit of a literary buff too. It has been noted how well he wrote in his native Latin tongue, both in the oral sense and the poetic sense. (6) Julius shares the same full name as his father, Gaius Julius Caesar, who was a Roman senator that had two daughters called Julia, one son, and a privileged wife named Aurelia Cotta. (7) There was a theory brewing that stated Julius was once the homosexual lover of King Nicomedes of Bithynia. (8) It is believed that Julius was a somewhat fastidious person by nature, and was very careful with his diet and consumption of both food and wine. No. I'm sorry to say that I've nothing to add to that, folks. However, before I bugger off to God knows where, let me just mention that I did enjoy sitting down and watching, 'Killing Julius Caesar'. 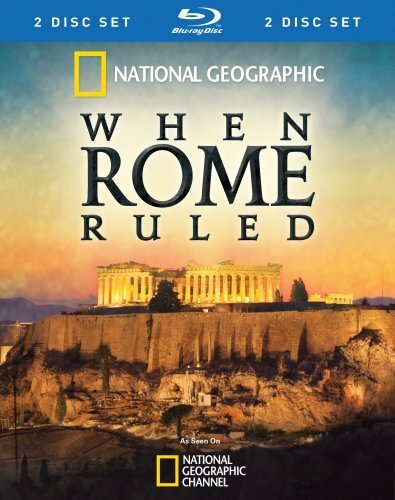 You see, despite it having a somewhat meandering narrative structure, plus discounting quite a bit evidence relating to Caesars own personal life, overall, I felt this documentary was a pretty decent documentary to watch. Most of the specialists knew what they were talking about. The presentation was up to its usual high standards. And all in all I'd highly recommend this program to any of you history buffs out there. Don't you agree, Ken?